This post is sponsored by thinkThin®. Last weekend I attended a good friend's wedding and instead of instinctively reaching for the credit card to buy a new dress and shoes for the special occasion, I slapped my own hand away and opted to look for options inside instead of outside my closet. 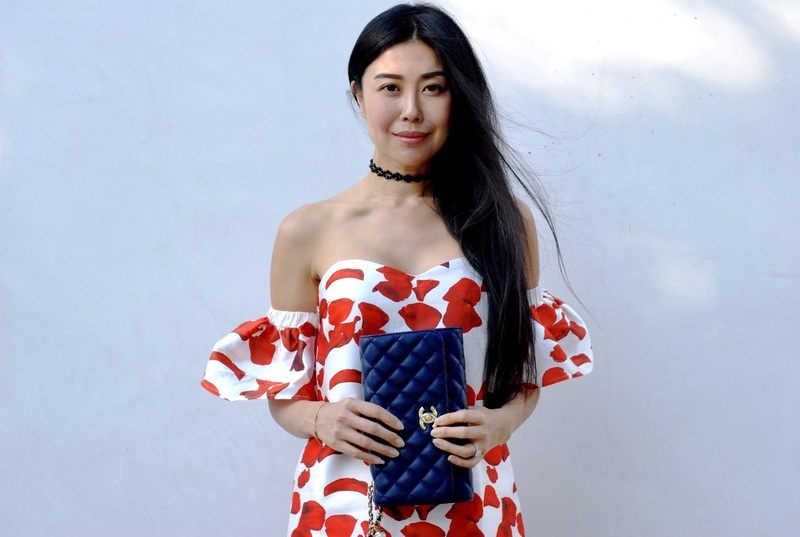 In the past, I'd always reasoned that weddings are the perfect time to get a new outfit since it's a special day filled with friends, love, and photos posted everywhere that will forever haunt any repeat outfit. To break my unhealthy habit, I gave myself an internal pep talk on spending and picked out one of my favorite spring dresses. The heart print is perfect for weddings and I paired it with an oldie but goodie pair of floral heels for an extra pop of color. I love the festive color and the billowy comfort of the dress. 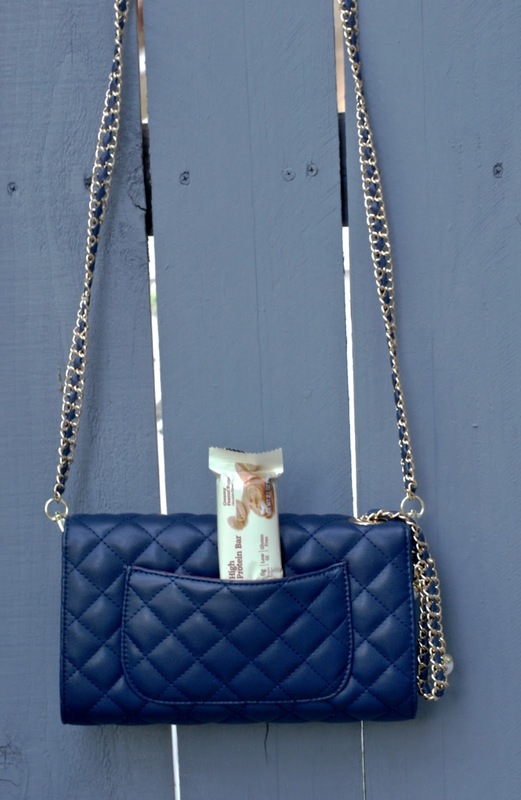 I also made sure to bring my thinkThin® High Protein Bar to satiate any post-ceremony, pre-reception hunger pangs. I literally had to fight M for it, as the creamy peanut butter flavor was so yummy and satisfying! It curbed my sweet tooth to the point that I actually gave M most of my wedding cake! I'm so happy I went the guilt-free route on my friend's wedding day and put together a new outfit from some of my existing closet favs. And I'm definitely happy that thinkThin® kept me feeling good and filled up! Protein helps fuel a full, energetic life. And good nutrition should always be delicious. 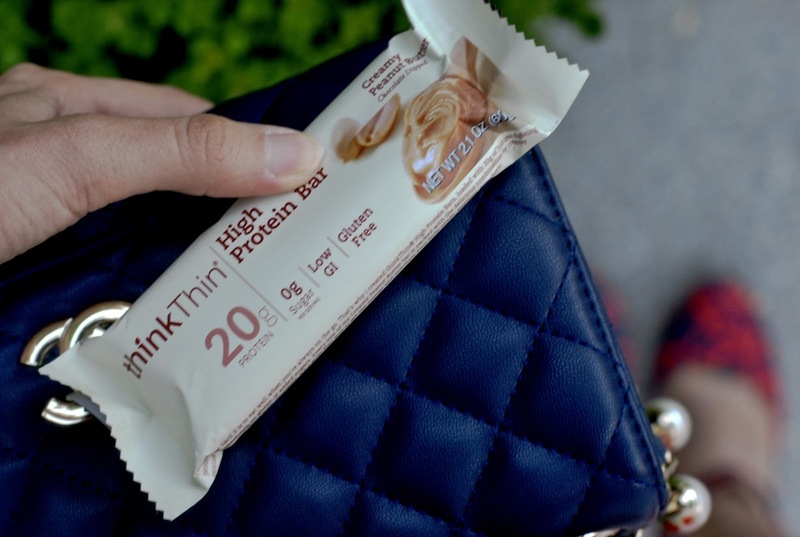 That's why thinkThin® products are packed with protein and come in a variety of decadent flavors.